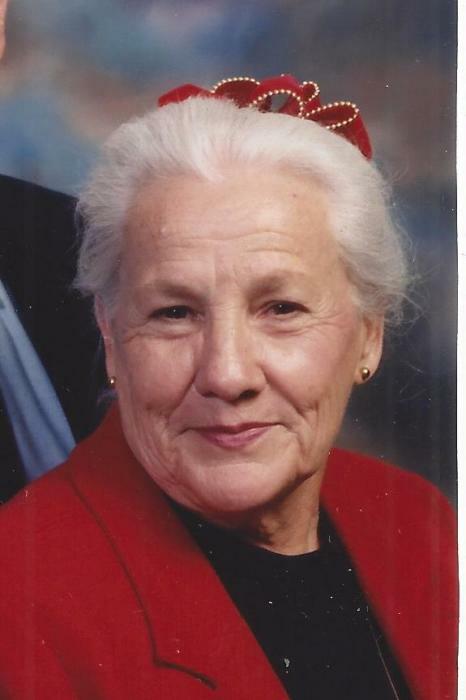 Betty Jean Hodges, 87, of Amarillo, died Saturday, February 9, 2019. Memorial services will be 10:00 am Wednesday at First Baptist Church Chapel, 1208 S. Tyler St. with Rev. Corky Holland officiating. Betty was born January 18, 1932 in Amarillo to Lee and Betty Ryan. She graduated from Amarillo High School in 1950. She attended Amarillo College, and earned a bachelor degree in education from West Texas State University. She earned her master’s degree in education from Texas Women’s University. Betty married the love of her life, Dean Hodges on November 28, 1952. He preceded her in death in November of 2018, after 65 years of marriage. Betty taught at San Jacinto Elementary School, Alice Landergin Elementary School, and Crockett Junior High School. She later worked as a professor at Amarillo College. She also taught English as a second language at Paramount Baptist Church for several years. Betty coached tennis at Amarillo College for many years. Betty truly enjoyed time spent with her husband. Together, they owned and operated Little Seed Orchard, and were long time members of First Baptist Church. Betty loved being GiGi to Savannah and Evan. She will be dearly missed by all who knew and loved her. She was preceded in death by her parents; her husband, Dean Hodges; a sister, Alice Conely; and a brother, Patrick Ryan. Survivors include her daughter, Mari-Jean Walker and husband Tommy of Amarillo; a sister, Dorothy Carlton of The Woodlands; a brother, Dr. James W. Ryan of Augusta, GA; and two grandchildren, Savannah and Evan Walker. The family suggests memorials be made to MC Care Home, c/o Mary Carrasco, 4807 Rusk, Amarillo, TX 79110.